So on the meat of this post. I set about checking to see if livescores had been put in the database. This just checks a table I call MethodCallTimes and GetLiveScore as a parameter to retrieve the LastCall, compare it to the current time and send me an email if it was too old. As my Pi updates it every 30 seconds I set the old state to -2 minutes. And now for a snippet of code. So simple with Entity Framework! Now that was set up I had to have some way of pinging this new Controler from somewhere that was not my Pi and not reliant on my home network. Enter my hosting company. 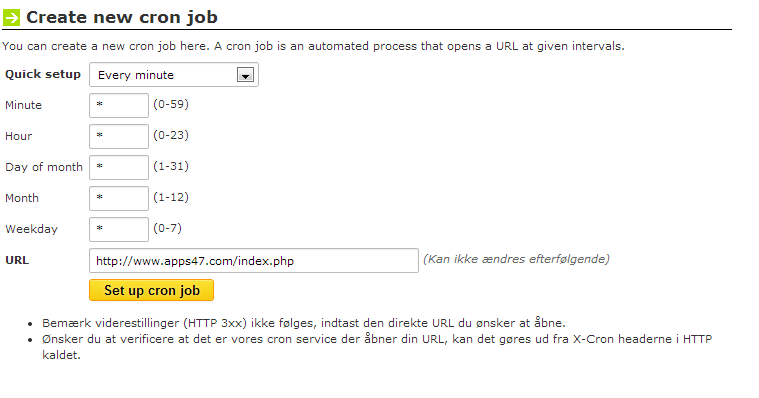 I noticed that I should have cronjobs included in my 1 EUR subscription, but I couldn’t for the life of me find out how. So a quick support ticket, and a couple of hours later on a Sunday evening they politely replied and told me where to set it up, which was extremely easy! As in a few dropdowns with explanation and a text field for the URL to ping and I was up and running every 5 minutes. Awesome!! There was also a little time for new development on Champions League Final. I managed to get the basic database structure ready for the group standings page, which in theory could be used for league standings in the future for other leagues. So time to get this data into the app in a nice way with the team logos. Getting ready and waiting for the final draw. 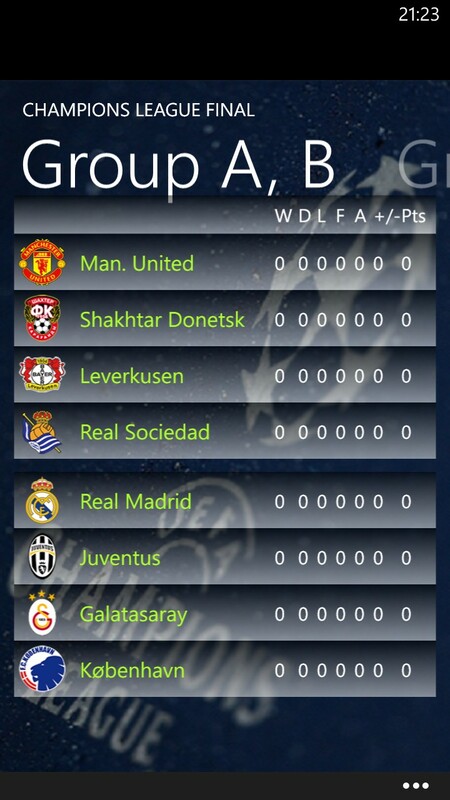 After the draw yesterday I managed to clean up the design for the group standings and submit this to the dev center… Hope you like it! « I’m back… What I’ve been up to the past year.